Our assessment service reviews your current setup and we discuss your overall business needs to make sure you get the right Office 365 package to meet your needs. From here we start the procurement process. Implementation is more than just flipping a switch. We will create an implementation plan, discuss what to expect, provide status updates, and manage the entire process for a smooth transition. 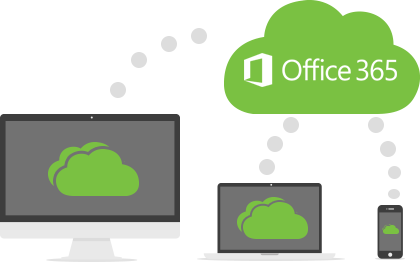 You have existing e-mails, contacts, appointments, and tasks that you will want to migrate over to Office 365. We work to get you started with Office 365 where you left off with your previous system. We will develop customized training based on the how you plan to use Office 365. We can provide end user and administrator training, quick start documents and training videos to get everyone up to speed. With Office 365 there are tools available for Active Directory integration and Single Sign-On that will not only make administration of Office 365 much easier, but make end users happy too. Mobile devices like smartphones and tablets are great in business if used to drive productivity. We assist you with determining how Office 365 tools can be used to achieve this for end users within your organization. Often an investment is made into new software, but users only scratch the surface of all the great features. We work to identify your organizational needs to ensure you get the most of your investment. Support is included for our managed services customers and is available for all others. Whether it be troubleshooting or administration, we are here to give you the support to make the most of Office 365.